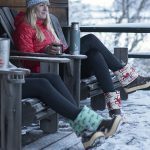 Clothing companies based in the Portland area know how to handle the rain. They need to; we get an average of almost 40 inches per year, 55% of which falls between November and February. Those same companies also know the implications of biking in the rain, which many people do in our bike-friendly city. 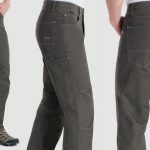 Showers Pass clearly knows about it, as the company specializes in clothes for performance- and commute-minded bikers. But the Showers Pass bamboo-merino Henley shirt isn’t just for biking. It offers some nice general activity insulation features as well. The merino wool in the Henley allows exertion-related moisture to wick away, and you don’t have to travel by bike to work up a sweat. You can be hiking, showshoeing, kayaking or doing any number of greet outdoor activities. 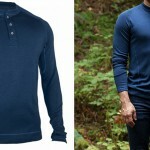 With those activities in mind, the Showers Pass bamboo-merino Henley shirt captured my attention. I’d heard about bamboo being used in clothing before, but I hadn’t experienced it until donning this shirt. 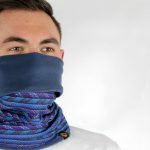 Folks, merino wool may be soft, but bamboo takes that softness to another level. It’s quite similar to the softness of a synthetic, but it’s 100-percent natural. Combine bamboo with merino, and you’ve got a baselayer top that feels silky smooth to the touch both inside and out. The Showers Pass bamboo-merino Henley shirt essentially knits the bamboo and merino wool fabrics together, though the bamboo is more prevalent on the inside. Using it on the shirt’s interior provides a super-smooth inner lining that’s antibacterial and supports moisture wicking. 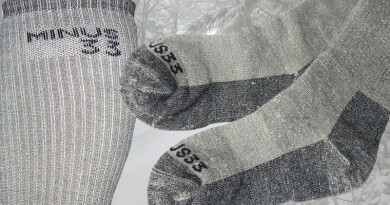 The merino wool on the outside, meanwhile, adds some insulation and breathability. I’m a bit torn on the best application for this long-sleeved shirt. Showers Pass bills it as a mid-layer, but I found it provided the most warmth and comfort as a baselayer. This is mostly because the Henley shirt is a bit thin, so it seemed warmest when there was at least one more, thicker layer on top of it. However, the bamboo fiber material is a bit cooler to the touch than merino, so having it directly against the skin, while smooth, didn’t have the same cozy factor as the other baselayer crews I’ve tried. It certainly warmed up when the other layers were on top of it, but my body’s knee-jerk response to putting on the Showers Pass bamboo-merino Henley shirt for the first time was “oooh, that’s a bit chilly.” After about a minute the sensation passed. Like a shower, I suppose. One of the more surprising aspects of the Showers Pass bamboo-merino Henley shirt is how long its raglan sleeves are. The torso is pretty long as well, making it easy to stretch without fear of the shirt riding up your back, but the length of the thumb-looped sleeves is downright orangutanian. I’m always concerned about getting cold, so I tend to appreciate longer aspects that help avoid exposed skin. But I repeatedly had to fold the wrist areas over on top of themselves to keep them from slipping into my palms or bunching uncomfortably at the wrists. Where the sleeves seem excessively long, the neck seems too tight, almost as if there was a misappropriation of material. Although the Showers Pass bamboo-merino Henley shirt has three buttons, I was never able to comfortably close the top one. That’s yet another reason I recommend this more as a baselayer than a midlayer. If there’s a competing collar underneath it, you’ll probably experience some added discomfort. But again, if this is a baselayer, you may not need that top button closed anyway. 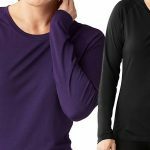 Flat-lock stitching and seamless underarm panels are nice features for a baselayer too, as they prevent chafing when you’re really swinging your arms. So, would I recommend the Showers Pass bamboo-merino Henley shirt? As a performance top, probably. 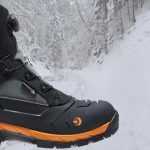 There are enough technical attributes with the bamboo and merino wool that it’ll support most high-octane activities. 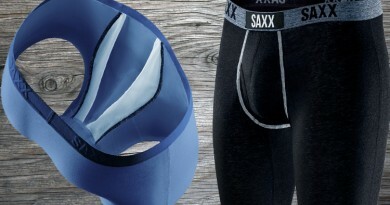 But as an everyday baselayer when you just need long johns to stay warm, probably not. With the Showers Pass bamboo-merino Henley shirt as a baselayer, I actually managed to overheat a bit on two hikes due to heat retention. That doesn’t happen often with me, and it’s a testament to the shirt’s insulation during outdoor activities. But the overly long sleeves and constrictingly tight neck seemed more of a noticeable nuisance to me when I was wearing this an “everyday” basis. For people like me who have Raynaud’s syndrome and are looking for everyday warm clothing, the Showers Pass Henley isn’t likely the best option. 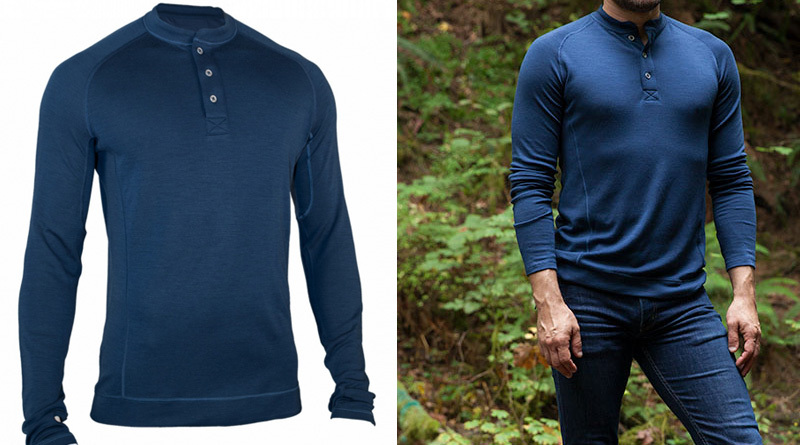 The Showers Pass bamboo-merino Henley shirt was provided for review. All opinions and words are my own and honest, and the article contains no affiliate links.